Not only SQL (NoSQL) databases using different kind of technics for storing and retrieving data compared to classical relational databases like DB2 or Oracle. They emphasis more on scaling and storing different kind of data then on ACID or CAP support. MongoDB belongs to the document based NoSQL databases. HBase as part of apache Hadoop belongs to the column based NoSQL databases. MongoDB is a open source document database mainly written in C++ as native application. The MongoDB Inc. is the company behind that product and offers commercial versions, suppport, etc. The Apache Hadoop is a umbrella for different software projects to store and process distributed large data sets. It’s open source and maintained by the apache community. The Hadoop distributed file system (HDFS) is a distributed storage system written in java suitable for storing large files in a scalable and fault tolerance cluster. HBase is a distributed, non relational database modeled after Google BigTable implementation. Facebook used it for their messages to store over 100 PB on data. There exists an adapter to use hadoops map reduce functions for aggregations on data. Hadoop jobs extract the data from mongodb, aggregate them and write back to mongodb. With the new Beta 1 of the Vaadin Addon Vaadin Spring Boot you can use Spring Boot as base framework for your Vaadin UI. The following example application use Spring Data as service layer on top of a mongoDB as NoSQL database. Blackboard is used as generic event sub system inside the Vaadin UI. Complete Source Code is available on github. * This view is registered automatically based on the @SpringView annotation. Inside Eclipse run the “demo.DemoApplication” class and open the url http://localhost:8080/ to see the welcome page. 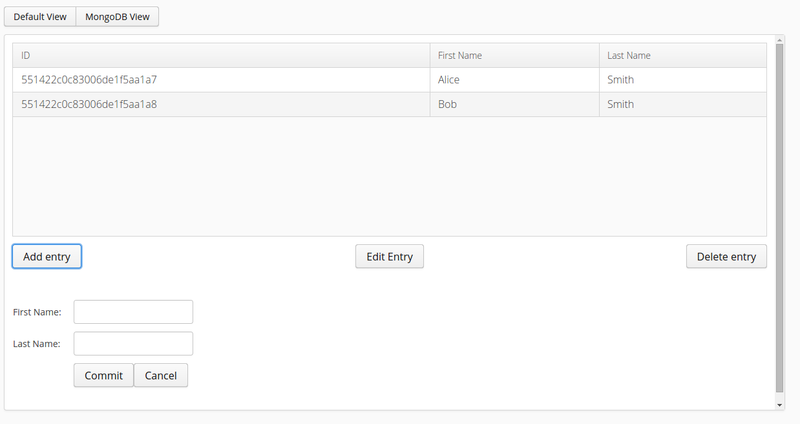 Select a row and click on “Edit entry” to change data or “delete entry” to delete selected customer. 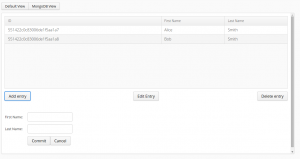 With “Add entry” you can create a new customer in the mongoDB. Under the twitter hashtag #adblockgate you find news related to the business of the company behind the adblock plus browser plugin for chrome or firefox. The problem with their business is the secret white list which serve you ads without a chance to avoid them. The advantage of this solution here is to have a central ad blocking service for all of your devices including smart phones and tablets. own-adblock.txt can be used as alias for own ad block subscriptions. See further configuration below. Start internet explorer and open settings. This affect chrome and internet explorer.